Now that we're on a first name basis, celebrate Mother's Day with us at The Elizabeth Hotel! If your name is Elizabeth, we’re giving you and your family 50% off accommodations (up to two guest rooms) at The Elizabeth on May 11 or 12, 2019. 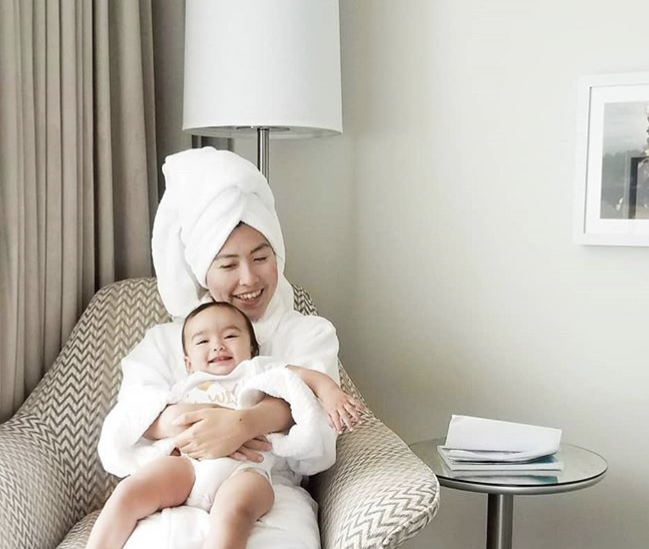 Share your favorite Mother’s Day memory with us on our Facebook page and we will send you a direct message providing a special code to use when booking your stay. Then on top of that, you’re eligible to win a one night stay at The Elizabeth over Mother’s Day weekend (limited to May 11 or 12, 2019) and in-room brunch courtesy of The Emporium Kitchen and Wine Market. Once you’ve posted your favorite memory on social media and reserved your stay, you will be automatically entered to win our Elizabeth Giveaway. A grand-prize winner will be announced on May 8. The winner will be reimbursed for your initial reservation, then awarded a complimentary stay and in-room brunch for that weekend. Additionally, don’t forget to join us for a special Mother’s Day Brunch in Old Town Fort Collins. Price is $65 for adults and $30 for kids (children under the age of three eat for free). To make reservations at The Emporium Kitchen and Wine Market, call 970.493.0024. The Elizabeth Hotel – Mother’s Day Discount is a giveaway designed to encourage engagement on The Elizabeth Hotel’s Facebook (www.facebook.com/theelizabethhotel). Individuals named Elizabeth who complete the requested action will receive a code for a discounted stay and be entered to win one of (1) individual prizes that will be awarded during May 2019. The winner will be randomly chosen from all of the users who meet the outlined requirements. Submit an entry to The Elizabeth Hotel on the above-mentioned Facebook channel and make a reservation using the provided link. Each person is only eligible to win (1) prize. Stays must be booked by the individual named Elizabeth; photo ID must be presented upon check-in. The winner will be notified by a direct Facebook message from The Elizabeth Hotel. (1) individual prize to be awarded in person upon arrival for a one-night stay at The Elizabeth Hotel and (1) in-room brunch courtesy of The Emporium Kitchen and Wine Market (blackout dates and restrictions may apply, based on availability; prize covers the cost of the room plus tax only, guest will be responsible for incidentals). 3. (1) prize will be awarded during the course of the contest, which are detailed in the prize section above. 4. The odds of winning will depend on the number of eligible entries received. There will be (1) prize and approximately (1) prize notice distributed. (a) This contest is intended for participation in the United States only and is open only to participants who at the time of entry are legal residents of and physically located in the United States and are age 21 or older. (b) The redemption of the (1) single night stay at The Elizabeth are subject to availability. (d) Internet access and a valid Facebook account is required to enter the contest. (g) As a condition of participating in this contest, all participants agree that any and all disputes, claims and causes of action arising out of or connected with this contest or the prize awarded shall be governed by the laws of the State of Colorado and that any and all disputes that cannot be resolved between the parties and causes of action arising out of or connected with this contest shall be resolved individually, without resort to any form of class action, exclusively before a court in Colorado having jurisdiction. Further, in such dispute, under no circumstances will a participant be permitted to obtain awards for and hereby waives all rights to claim punitive, incidental or consequential damages, including attorneys’ fees, other than the participant’s actual out of pocket expenses (i.e. costs associated with entering this context). (h) All participants in the contest agree to hereby release, discharge and hold harmless the Sponsor, and its affiliates, parents, subsidiary and related companies, advertising and promotion agencies, Twitter, Instagram (collectively, the “Promotion Entities”) and the Promotion Entities’ respective offices, directors, employees, independent contractors, representatives and agents from any and all claims, actions, demands, losses, liabilities and damages of and kind whatsoever existing now or arising in the future (including, without limitation, including direct, indirect, incidental, consequential or punitive damages), costs and expenses (including, without limitation, reasonable attorneys’ fees, court costs, settlement and disbursements) directly or indirectly arising in whole or in part out of acceptance, possession, use or misuse of a prize, participation in any contest or prize related activity, access to a web site, and/or participation in this promotion. (l) By participating in this contest, guest names will be supplied along with contact information to Sage and the Hotel as an entry to one of the above mentioned prizes. Your contact information will not be sold or shared with entities outside of Sage and the Hotel. 7. This contest starts on or about 12:00:01 a.m. Mountain Time on April 8, 2019 and ends 11:59:59 p.m. Mountain Time on May 6, 2019. The contest winner will be selected at random from all eligible entries received by 11:59:59 p.m. Mountain Time on May 6, 2019. For the winner’s name, contact the address listed above after May 12, 2019. For questions or comments please email marketing@sagehospitality.com. This contest is in no way sponsored, endorsed or administered by, or associated with Twitter or Instagram though they may be used to promote the sweepstakes and the Hotel. All information provided by entrants in this contest is being provided to the Sponsor and not to Twitter or Instagram.